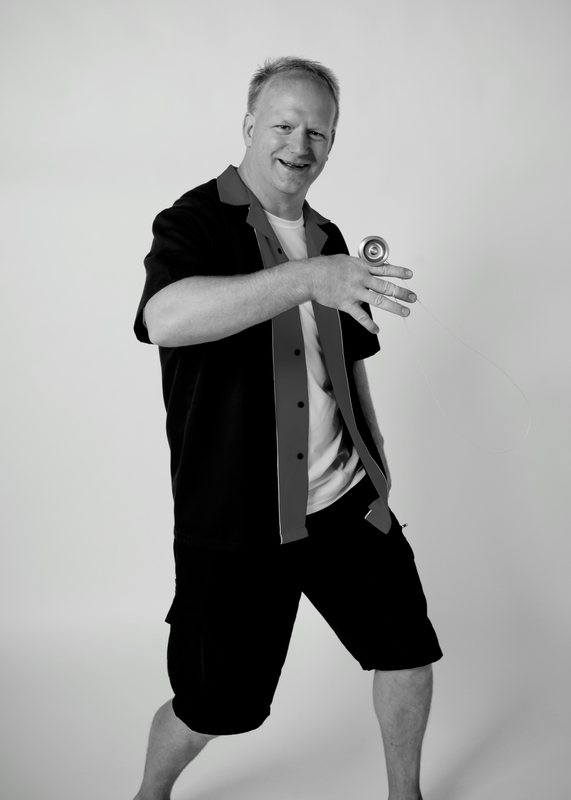 His yo-yo has a heartbeat. 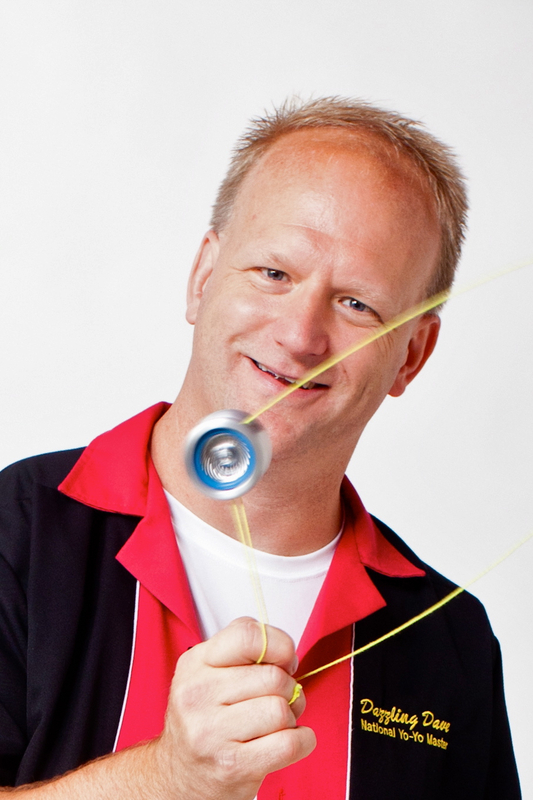 See a performance by Dazzling Dave and you might start believing his yo-yos are alive. 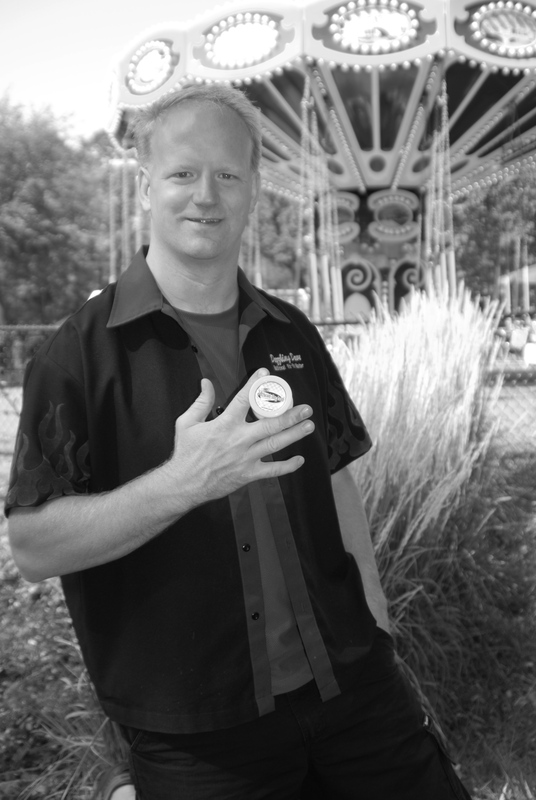 Dazzling Dave Schulte is a professional yo-yo performer and highly acclaimed champion who has circled the globe since 1998, storming audiences everywhere with his freakish tornado of whirling tricks and tips, all designed to entertain, educate, and illuminate the beauty of the growing sport of professional yo-yo. A former middle school teacher, Dave’s heart and soul are still in teaching – but now he’s found a better way. 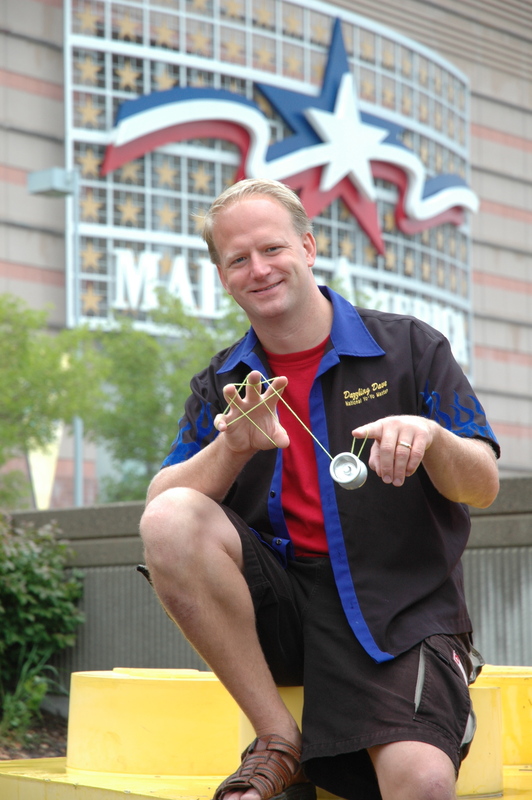 Delivering intensely fun freestyle performances followed by friendly hands-on instruction, Dave teaches his “students” hand-eye coordination, goal setting & achievement, performance techniques, and the fundamentals of physics, all through the Science of Spin program and his hand-held classroom on a string. 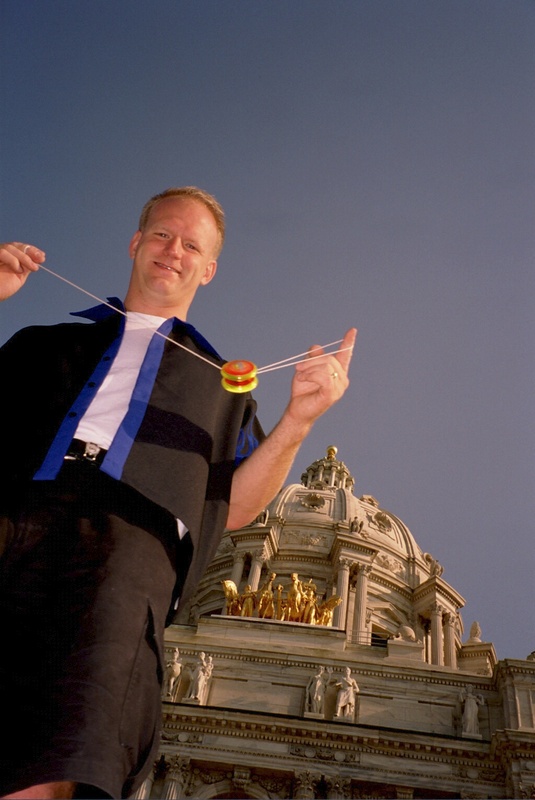 In October of 2001, Dazzling Dave was named to an elite group of National Yo-Yo Masters, making him one of the exclusive members of the Yo-Yo Judges at the World and National Yo-Yo Championships each year. Dazzling Dave has toured Japan, Korea, France, and Australia, as well as most of the United States. Click to download pdf file for biography. The images and information below are for the use of my clients to promote my show. If you have a booking with me, feel free to use these resources in any promotional websites or print media. Click photo for a high resolution image. Click poster to view pdf file. Click to download pdf file for workshop. 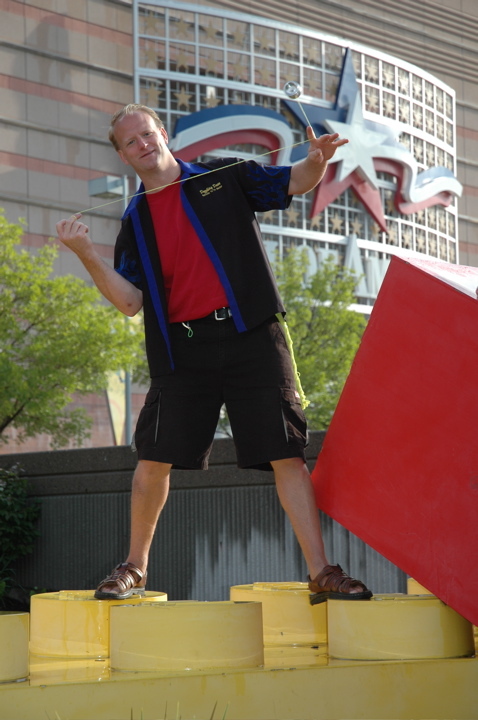 I have performed all over the world, below are some highlights. 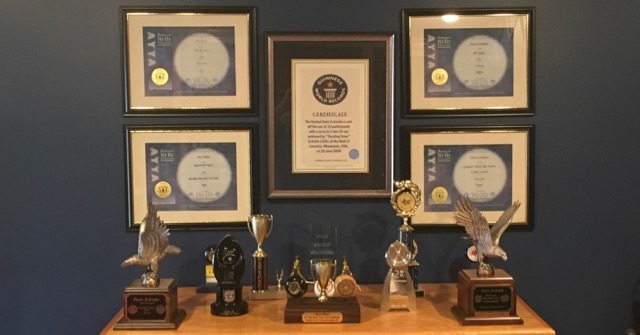 These are the television, newspaper, magazine and radio spots that have been produced about me.